DEFINITELY ROYAL ... more or less! 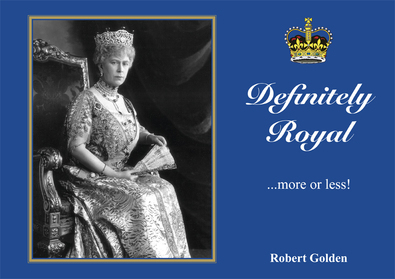 Fans of Robert Golden's two previous books, "Relatively Royal" and "The Golden Book of Royalty" are in for a treat! This third volume of Royal pictures, inside information and tidbits, focusing the junior branches, the lesser known members of Queen Victoria's extended family, will disappoint noone. The author's fondness for the people he is describing and his inimitable writing style has attracted thousands of regal readers all over the world.